UnBoxed is a free first-person puzzle game developed by students from the Vancouver Film School. In this game we step into the shoes of Zirk, an alien that is trapped inside a gigantic human-made spacecraft and has to solve several puzzles. You have to reach the exit in each area but there’s a twist – Zirk wears technologically advanced goggles that allow him to manipulate the environment by rotating the surrounding rows and columns, pretty much in Rubik’s Cube style. 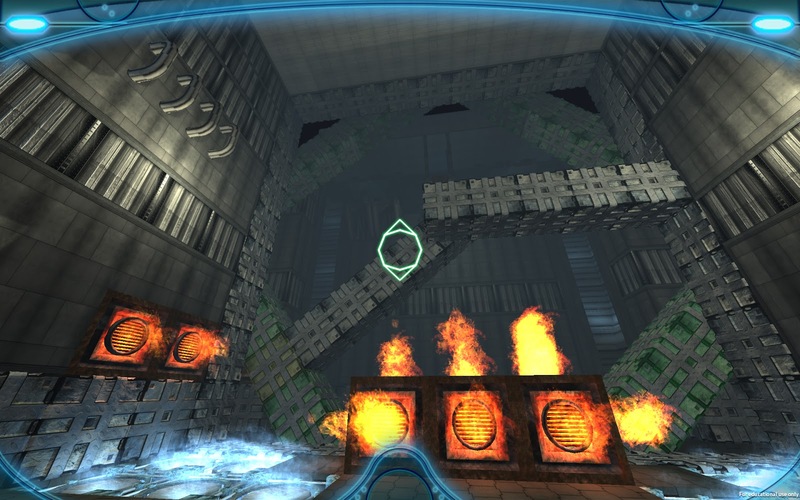 There are many deadly traps to avoid such as the fire cube, freeze cube or the laser gun. When you complete a level the number of moves is registered and you may later take another attempt to beat your own record. UnBoxed can be played with keyboard and mouse as well as an Xbox controller. Besides the challenging levels, UnBoxed includes a level editor that allows players to design their own levels. UnBoxed is a very polished puzzle game that is targeted at fans of titles such as Portal, Quantum Conundrum or even the free game Lifted.